Dr. Bing Huang, assistant professor of art history, is the recipient of the 2018 Innovation in Teaching Excellence award. The honor is given to a faculty member who has implemented outstanding innovative teaching approaches that increase student learning and success. Innovative teaching is defined broadly, but necessarily involves creative ways to engage students in the learning process. Dr. Huang earned her bachelor’s degree in history from Shanghai University and a master’s degree in the history of art and architecture from the University of Cambridge. Recently, she earned her doctorate in the history of art and architecture from Harvard University. 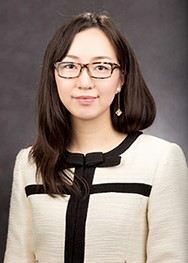 Dr. Huang specializes in Chinese art, and her research interests include the artistic and cultural exchange between Europe and East Asia and art and technology. Recently, she has cultivated interest in digital art history and examines the question of medium or media in recent art history theory and practice. She also has been working on virtual reality projects that demonstrate how immersive media technology and in-depth humanist research may be combined to enhance teaching. Congratulations to Dr. Huang on this well-earned honor. Professor Tricia Forte, visiting assistant professor of health policy and management, is the recipient of the 2018 Teaching Excellence by Visiting and Practitioner Faculty award. The honor recognizes visiting and practitioner faculty for their excellence in teaching and promoting enthusiasm for learning. Professor Forte is a 2007 graduate of Providence College who majored in health policy and management (HPM) and history. After PC, she received her MBA from Suffolk University and worked in the healthcare industry at CVS Health and Hope Hospice & Palliative Care Rhode Island. In 2015, Professor Forte returned to PC to teach courses in the HPM program that include Financial Management of Healthcare, Quality and Performance Improvement, and Health Law. In addition, she is currently a student at Roger Williams University School of Law. Congratulations to Professor Forte on this well-earned honor. 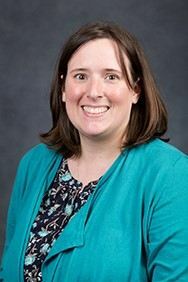 Dr. Darra Mulderry, adjunct assistant professor of history, is the recipient of the 2018 Teaching Excellence by Adjunct Faculty award. The honor recognizes adjunct faculty for excellence in teaching and promoting enthusiasm for learning. 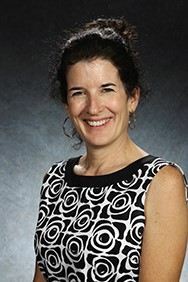 Dr. Mulderry earned her bachelor’s degree from SUNY-Albany and her master’s degree in historical studies from the New School for Social Research. She earned her Ph.D. from Brandeis University, and she began her teaching career at Providence College in 2008. Along with her teaching duties, Dr. Mulderry is the associate director of the Center for Engaged Learning/director of national and international fellowships, as well as the coordinator of post-graduate fellowships. Dr. Mulderry’s academic interests include modern European and U.S. intellectual history and U.S. political and religious history. Her articles on the history of U.S. Catholic sisters in the 20th century have appeared in Catholic Historical Review and American Catholic Studies, and she is currently working on a book about U.S. nuns and social-justice education in the postwar years. Congratulations to Dr. Mulderry on this well-earned honor. Please download a PDF for more information about these awards.